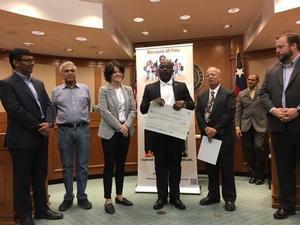 Manor ISD is honored to have been awarded $10,000 for scholarships courtesy of the Hindu Charities for America and the Manor Education Foundation. 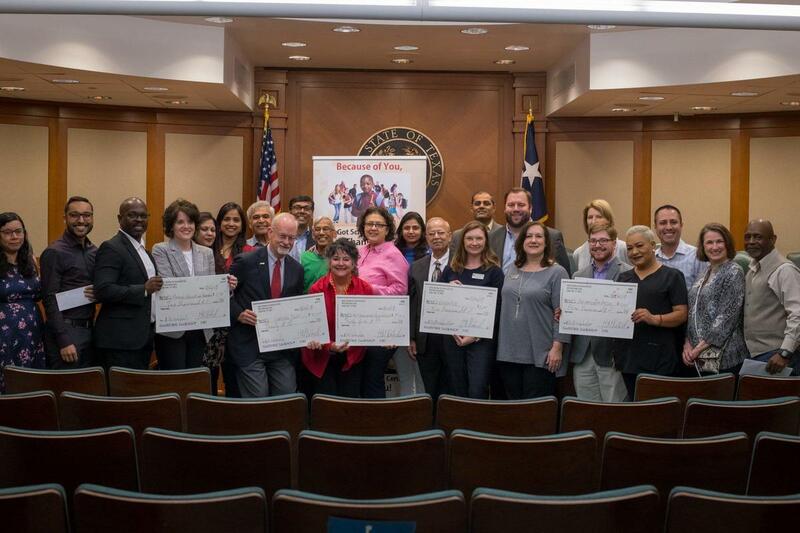 The organization presented a check to MISD Superintendent Dr. Royce Avery on March 12th at the State Capitol, hosted by State Rep. John H. Bucy III (D-Austin). 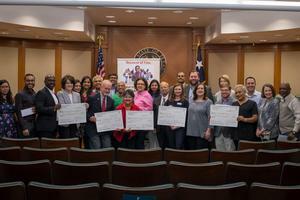 The money will be used towards ten vocational scholarships for graduating seniors. Hindu Charities For America (HC4A) was established to provide an opportunity to give back to communities across the United States. Founded in 2010 and obtained a 501( c)(3) non-denominational charity status in May of 2010, HC4A has helped kids in need by donating school supplies and vocational scholarships. The district is truly grateful for the continued support and commitment of the Hindu Charities for America, MEF and all its donors.